The Director of the Central Intelligence Agency, Leon Panetta, weighs-in against politicization. CIA Director Leon Panetta warned Monday against making his agency a pawn in the nation’s partisan political battles, even as House Speaker Nancy Pelosi’s claim that she was lied to by the CIA continues to reverberate in Washington. Rough may be an understatement. Last week, Pelosi accused the CIA of lying to her during a 2002 briefing about interrogation techniques. On Friday, Panetta issued an unusual written statement to agency employees rebutting Pelosi’s claim, and Pelosi later backpedaled, saying it was the Bush administration that misled Congress. Panetta didn’t explicitly discuss the flap with Pelosi in his remarks Monday to the Pacific Council on International Policy. However, in response to questions, he stressed his desire to keep Congress abreast of the CIA’s activities. “The Intelligence Committee does have a responsibility to oversee our operations and what I intend to do is to make sure they are fully informed of what we’re doing,” he said. Panetta said he wants to expand briefings to the full intelligence panels, not just their leaders. He also said he plans to be on Capitol Hill Tuesday morning for coffee with a group of lawmakers. Panetta, a former California congressman and chief of staff to President Bill Clinton, said he would cooperate with any “truth commission” Congress might establish to inquire into Bush-era interrogation practices and related activities, but he suggested that another inquiry already underway in the Senate might be adequate to address such issues. However, the CIA director again warned against making intelligence-related matters a political football. “What I’m most concerned about is that this stuff doesn’t become the kind of political issue that everything else becomes in Washington, D.C., where it becomes so divisive that it begins to interfere with the ability of these intelligence agencies to do our primary job which is to focus on the threats that face us today,” he said. Some observers said Panetta’s need to defend the agency last week was particularly acute because he has little background in intelligence matters and is regarded warily by some agency employees as a politician. During the speech Monday, he was candid about his roots. “I’m a creature of the Congress,” he said at least twice. 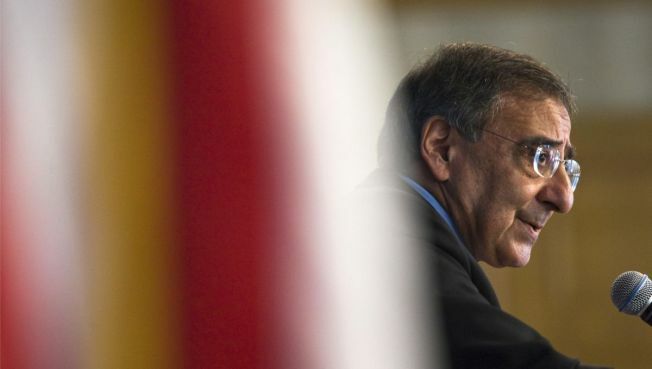 During his West Coast appearance, Panetta also defended the CIA’s program to use unmanned Predator drones to attack Al Qaeda operatives in Pakistan. He said civilian deaths blamed on such missions are more likely the fault of military operations in the region. He also said the drones have played a unique role in undermining the terrorist network. Panetta said his agency remains focused in large part on Iraq and North Korea. He boasted that his agency has made strides at gathering intelligence about the secretive regime in Pyongyang.